The American Association of State Highway and Transportation Officials recently announced which northeastern state departments of transportation have won awards for high-impact projects. Six projects representing four states — New Hampshire, Maryland, Delaware and Pennsylvania — won America’s Transportation Awards, according to a press release issued by AASHTO on July 11. America’s Transportation Awards honor state DOTs that have led projects to improve safety and foster economic growth. The awards, sponsored in tandem with Socrata, AAA and the U.S. Chamber of Commerce, recognize projects in three categories: quality of life/community development, operations excellence and best use of technology and innovation. The DOTs for New Hampshire and Maryland won awards for quality of life/community development. The category is divided on the basis of project cost, ranging from small (projects less than $25 million) and medium (projects between $25 million and $200 million) to large (projects more than $200 million). Maryland DOT won in the medium category for a project that expanded a portion of state Route 404, a highway along the state’s Eastern Shore that carries 20,000 vehicles a day during the summer. 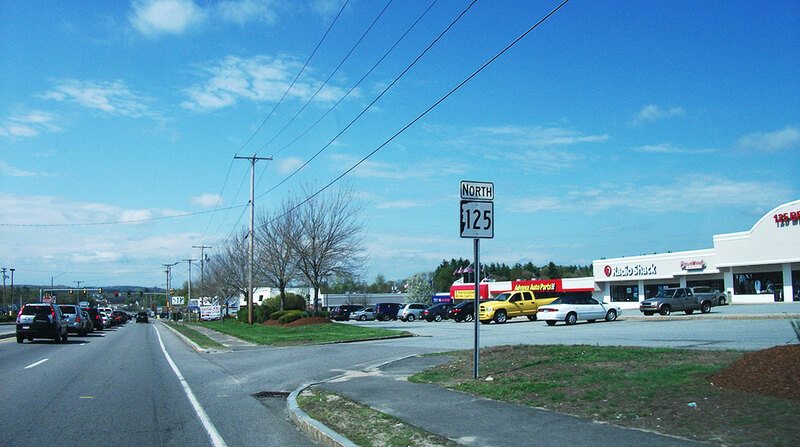 New Hampshire DOT won in the small class for repaving and widening portions of state Route 125, which runs up the eastern side of the state. Maryland won again in the medium class of the operations excellence category for BaltimoreLink, an overhaul of the bus network in the Baltimore area. BaltimoreLink realigned bus routes, created 5½ miles of new bus lanes on downtown routes and prioritized transit signals. Delaware DOT won for small class for operations excellence projects. The award recognized DelDOT’s construction of a diverging diamond interchange between state routes 1 and 72, which converge in the northern part of the state about 10 miles east of the Maryland border. The new interchange is meant to ease turns for people moving between the routes, both of which face increasing volume. Pennsylvania claimed small and medium awards in the technology and innovation category. The small category award was for the development of a statewide demand-response software system for public transportation. The medium class award recognized PennDOT’s replacement of the Hunter Station Bridge over the Allegheny River, which involved a relocation of the native mussel population. The northeastern region is one of four groups that constitute AASHTO’s members. The other three encompass Mid-America, the Southeast and the West. In June, AASHTO announced winners for Western region states. Winners from the other two regions will be announced later this summer, according to AASHTO’s press release. The three highest scoring projects from each region will compete for a grand prize, determined by an independent panel of judges, and the Socrata People’s Choice Award, selected by the public through online voting.